An honest, heart-on-his-sleeve singer songwriter, Boston based solo artist Jesse Develis is currently embarked on a musical travelogue through America’s cities and towns. Jesse’s live performances are both captivating and eclectic. 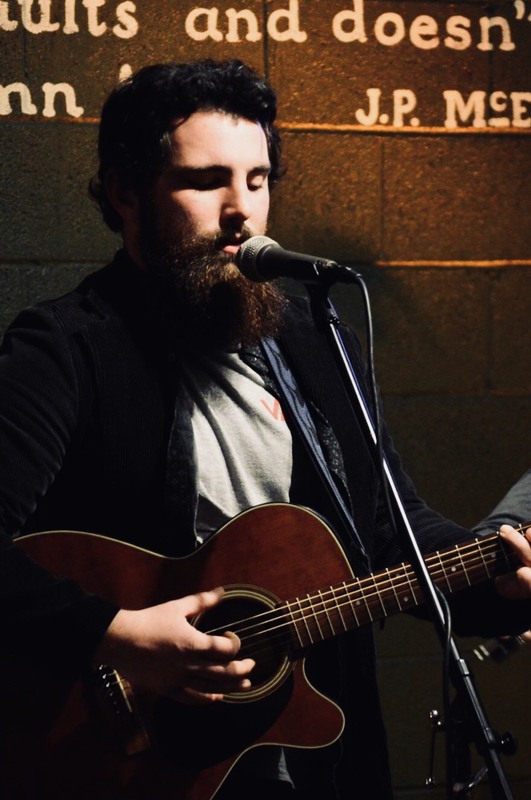 Jesse’s musical roots are steeped in folk and blues and his original music has garnered comparisons to icons Dave Van Ronk and Richie Havens as well as contemporary artists Dave Matthew and John Mayer. Jesse’s musical pallet often draws from his own experiences and his songs explore themes of faith, love and loss. Jesse, along with his wife Sarah, a talented artist in her own right, are traveling through the United States in their mobile music command center named Gan Eagla.